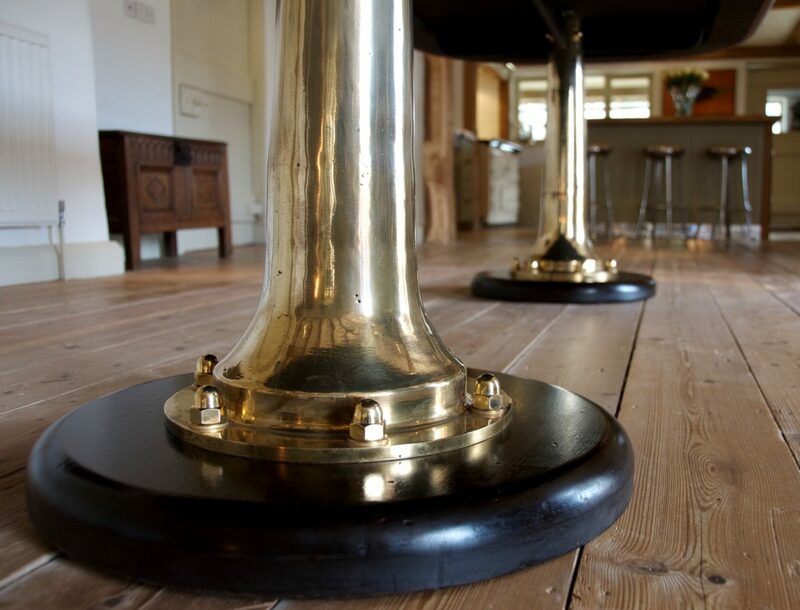 We love nothing more than to combine our love of antiques with our workshop team’s extensive skill set, in producing a new and beautiful piece. 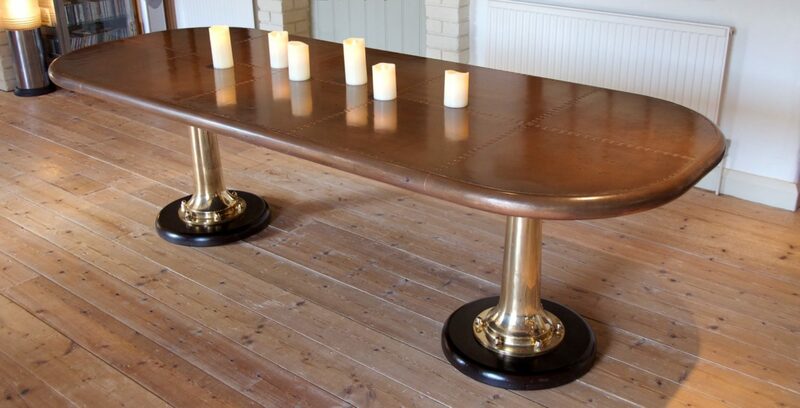 This was exactly what was ‘on the table’ for this project! 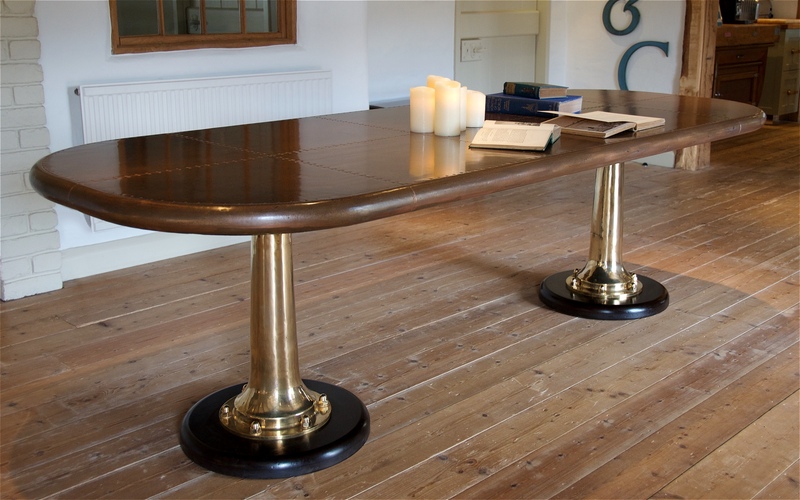 A long-standing client, one of London’s great interior design houses, sent through a request for a brand new, but characterful dining table which would ooze personality and elegance with more than ‘a nod’ to the nautical theme! 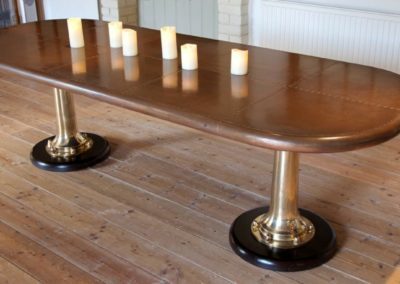 The challenge was accepted and our team set about researching and sourcing the perfect components for this classical, super-yacht-worthy dining table. 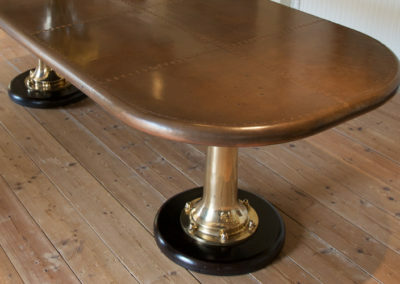 Knowing exactly what you need and finding exactly what you need can sometimes be two very different things.. luckily, with our heritage firmly rooted in the antiques trade, there are few pieces we can’t locate! 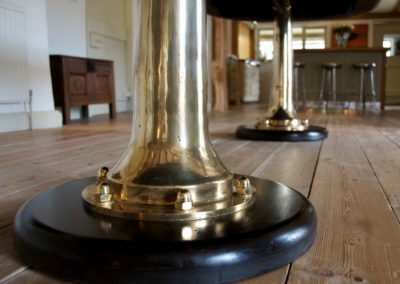 Between ourselves and our client, it was decided that a pair of original gleaming brass ship’s telegraphs would be the perfect style of table base and we knew just the person to go to! 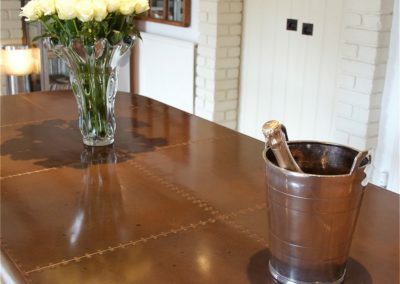 The table top was agreed to be constructed from patinated copper, arranged in jointed panels, which would feature ‘pinned’ detailing to align with the nautical theme. 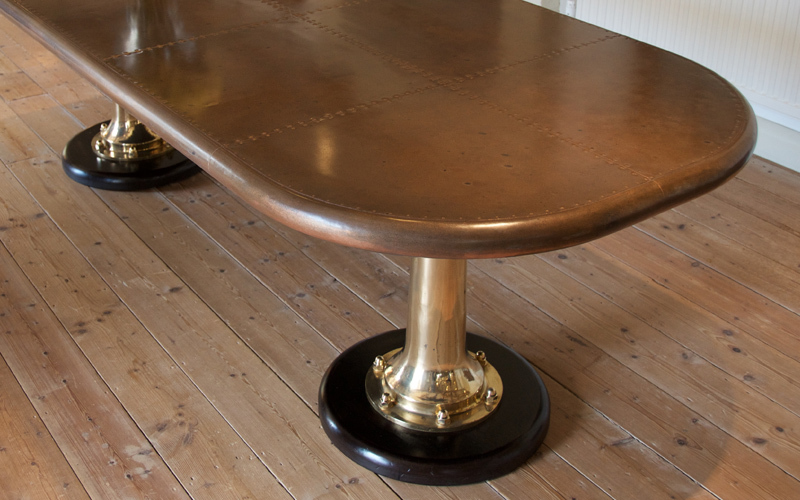 We were all ready to set sail aboard the ship fit for this marine style dining table, but no such fate awaits… this table was destined for a boutique hotel in Russia! 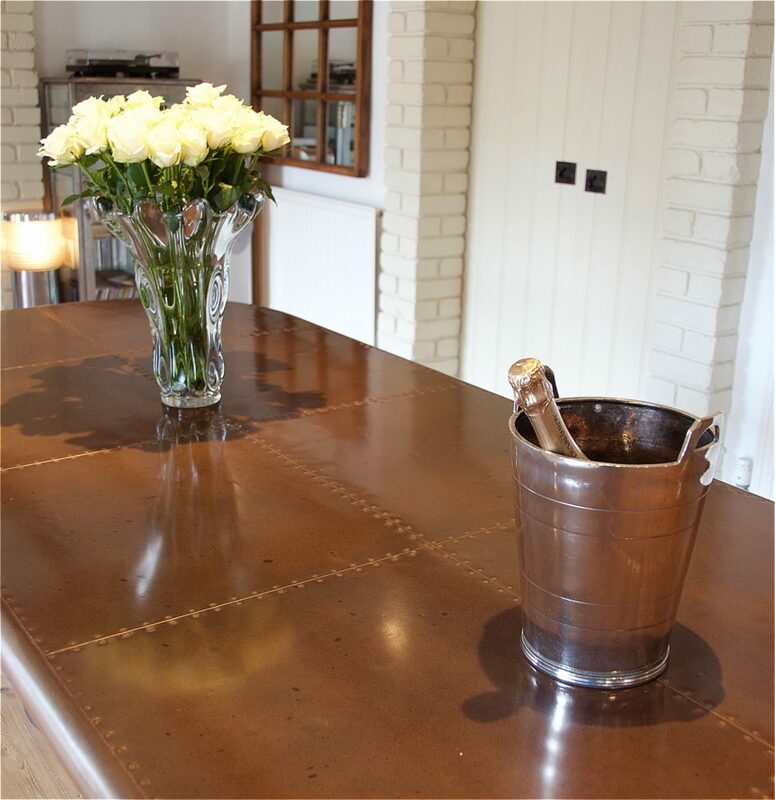 To discuss a bespoke project which incorporates a nautical flavour, please contact us.